Add flavor to your summer grilling with Bacardi, USA’s “60 Second Cocktail” guide, a program launched by Bacardi, USA in association with the USO to support our country’s heroes. 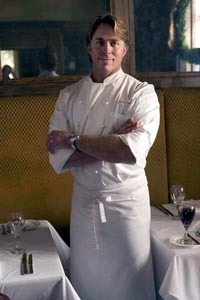 This summer, famous Chef John Besh has crafted delicious recipes that any cooking enthusiast can grill and enjoy. Besh teamed up with seasoned mixologist Bryan Stowe, both former Marines, to create the “60 Second Cocktail” guide, a mouth-watering menu of grilling and cocktail recipes. Each recipe utilizes the exquisite taste of Bacardi products to create flavorful dishes perfect for any summer feast! Besh’s recipes teach grilling lovers how to master the art of pairing Bacardi products with your dishes to discover the classic flavors of summer with quick and easy meals! The “60 Second Cocktails” guide features Besh’s healthy, original grilling recipes, easily prepared in under 10 minutes. Recipes such as the ‘Grilled Chicken Breast with Tequila Cazadores Reposado Lime Glaze’ or the ‘Grilled Flank Steak with Louisiana Peach and Grey Goose Citron Glaze’ pair perfectly with the featured spirits to draw out natural flavors while adding an extra kick.